Having the opportunity to study abroad is an amazing experience. And having a family member who’s becoming an exchange student fills your heart with pride. It’s also scary, and just a little heart-breaking, when your loved ones are so far away from home for extended periods of time. It’s not always practical to visit, but when you send a gift to an exchange student, you are sending a tangible connection – a little bit of love they can hold in their hand. Sending a surprise gift to your student abroad is a simple way to make sure they remember they are not alone, and to encourage them to make the most out of their opportunity. Care packages with their favorite foods from home, sweets and healthy snacks to keep them working hard, and messages of your support are cherished on those long nights far from home. Who should give gifts to Exchange Students? If you know an exchange student, then you know someone who will thrive with your support. Families, host families, friends, and teachers should all remind their exchange students that the people at home are thinking of them. 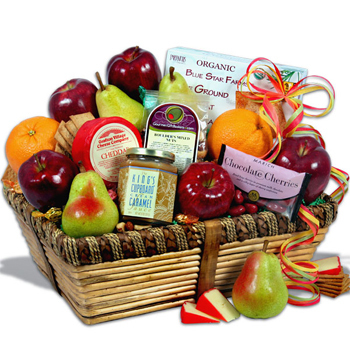 Giving a gift basket to an exchange student is for anyone who wants to help them successfully make the transition from home to their new country. An assortment of local treats can be a great way to immerse the world-traveler in their new culture, or to thank their host family for taking good care of them. A school can open its arms to international students by sending them something that reminds them of home throughout the school year. Iconic snacks or trademark brand names from home are the perfect gift for an exchange student to help them stave off homesickness. Families and friends are also encouraged to stay connected with their students abroad by sending a mountain of e-mails, phone calls, and gift baskets to their students abroad to keep them thinking of home, and make the distance easier to bear. When is a good time for a gift to an Exchange Student? If they’re in college, then it’s always the perfect time to send a gift to exchange students. It is more than a little likely that they’re over spending on tourist attractions or soaking in every minute of the country they’re in. And can you blame them? A basket of fruit to your Exchange Student can help make sure they get the nutrients they may otherwise be forgetting about. If they’re gone for long periods of time, you may find yourself needing to find that perfect birthday gift gift for your exchange student. Presents for holidays, to say get well, to say I Miss You, or just to say hello are all perfect occasions to send a gift to an Exchange student. How to send a gift to an Exchange Student? Sending gifts to students abroad can be difficult. Getting gift delivery to school campuses is tricky for many delivery companies, and customs can be a nightmare. 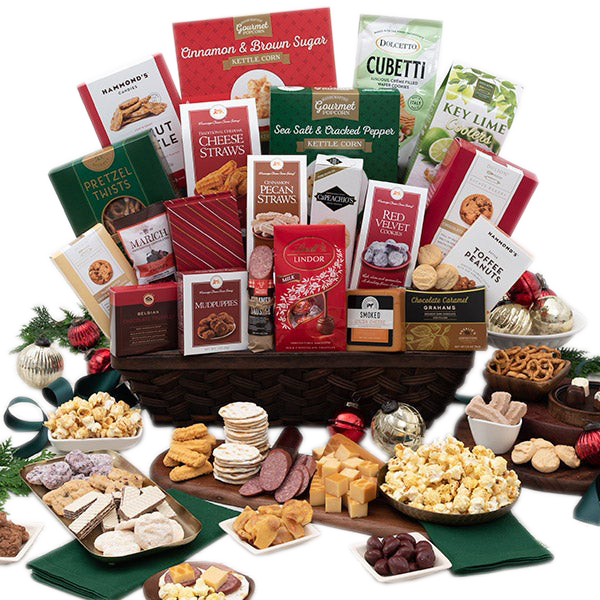 With GiftBasketsOverseas.com we make choosing just one gift from our catalog the hardest part of the whole process. With regional offices in over 200 countries, we have a long track record of making sending special gifts to any exchange student simple and easy.